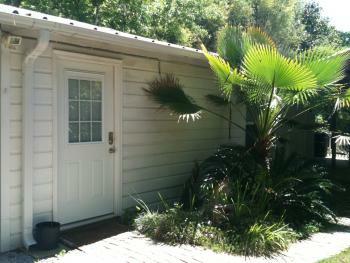 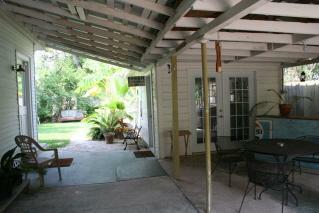 It also features a cottage outside that has 1 bedroom/living room and 1 bath that rents in addition to the main house. 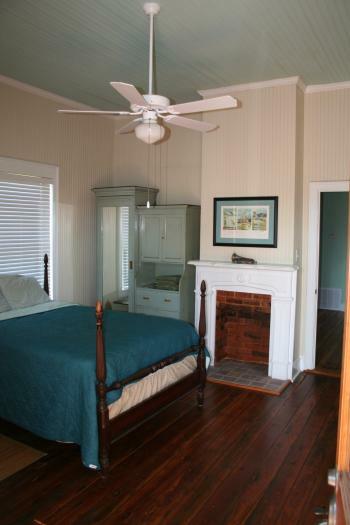 Listed on the National Register of Historical Places in Bay St.Louis, MS. , this Historic Beach Cottage is newly Renovated post Katrina and fully furnished with beautiful antiques and hardwood floors. 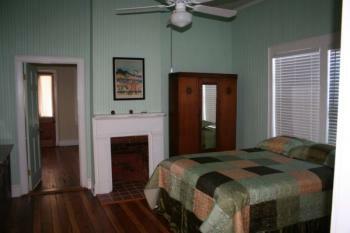 The house features 1 King , 1 Full and 1 Twin size bed. 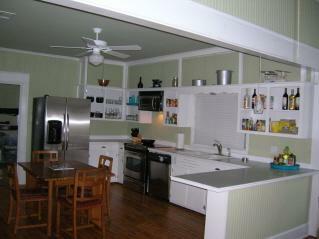 The kitchen is stocked with pots and pans and utensils to cook a homemade meal. 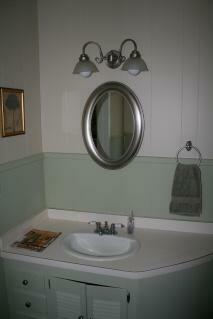 Linens are included, bath towels and bed linens are supplied. 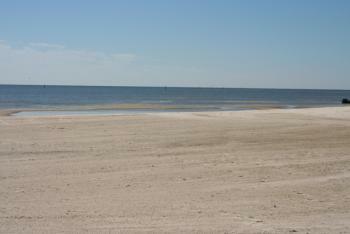 We do recommend you bring beach towels for your trip to the beach. 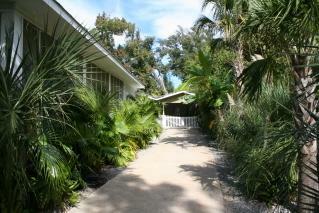 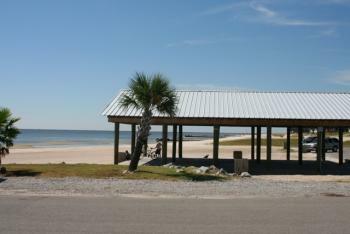 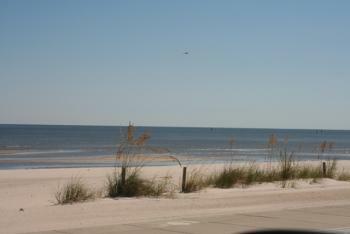 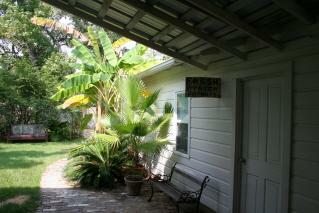 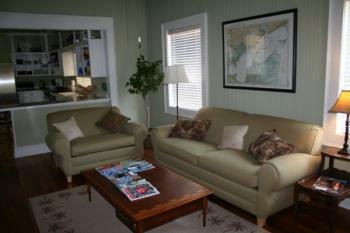 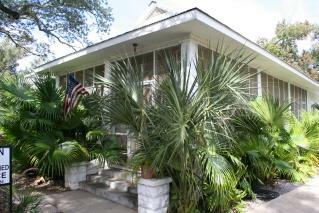 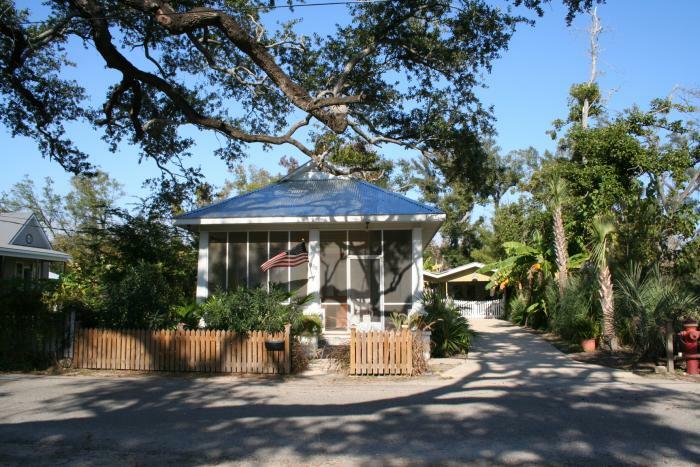 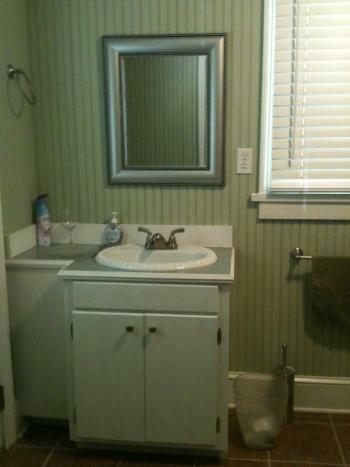 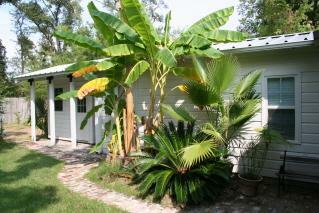 The cottage is located 1 block from the beautiful beaches of the Gulf of Mexico. 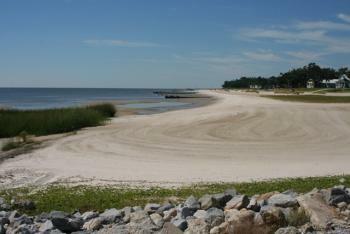 Minutes from cafe's, restaurants, antique shopping, Silver Slipper Casino & Hollywood Casino, golfing at The Bridges Golf Club a Arnold Palmer signature championship golf course, tennis, boating, bike trails, antique shopping, art galleries, canoeing (contact Wolf River Canoes at their website), swimming and fishing. 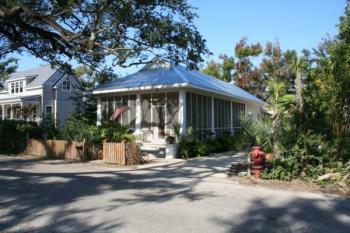 1 hour from New Orleans, Louisiana, where you can visit the Historic French Quarter, Aquarium of Americas, IMAX Theater, Audubon Zoo, Famous New Orleans Restaurants and a Children's Museum in Gulfport, MS. 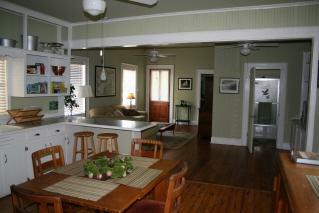 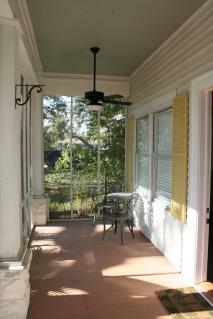 If you are planning a French Quarter visit ask us about our French Quarter Rental. 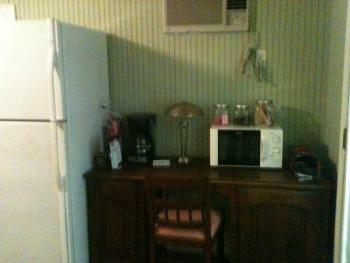 1 bed / 1 bath suite with refrigerator, microwave and coffee pot. 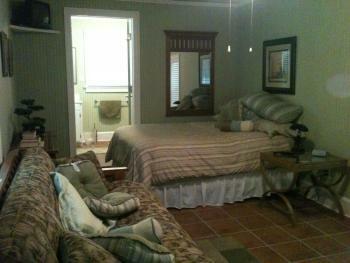 $70.00 per night in addition to the Main House only.